Chuck’s latest release called Deep Sleep is no exception to that rule. This album is a follow up to an earlier release on Real Music called Sleep and seeks to walk the same tonal path as the previous release so as to offer a second CD specifically composed and mixed to enhance a person’s ability to drift into a state that will allow them to achieve a most restful night’s sleep. 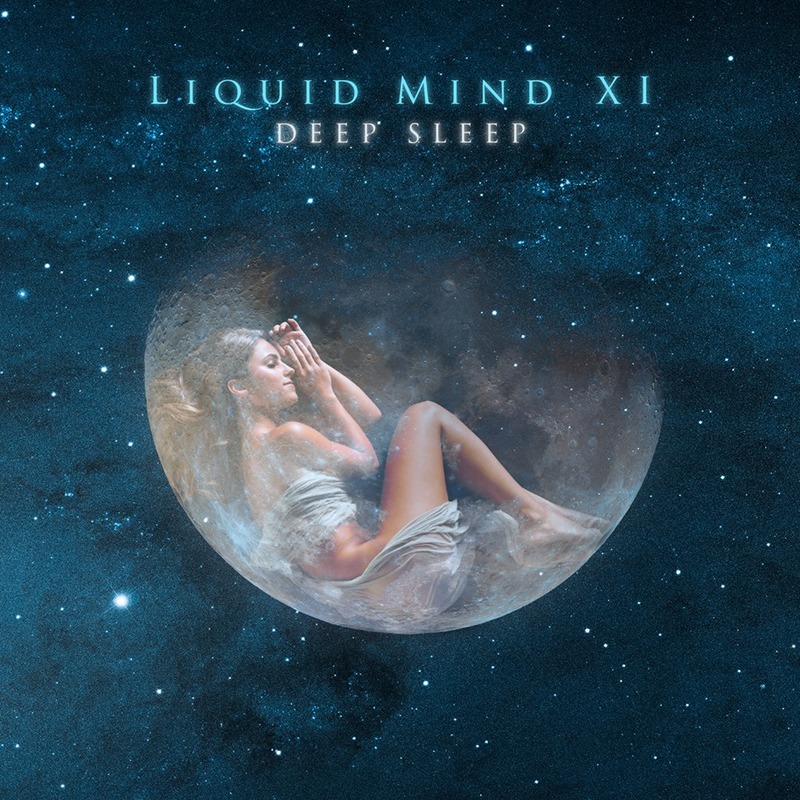 Most artists would find the fact that their music puts people to sleep as being less than desirable but with Liquid Mind’s music that is high praise and I must admit that the songs on Deep Sleep will help you along that very path. The thing about Liquid Mind releases is that I don’t think of them in terms of individual tracks but rather I almost always consider Chuck’s music as a whole project. Deep Sleep features 6 tracks that run for a total time of almost 64 minutes but as I listen to the album other than the short pauses between tracks I rarely notice that the track has changed because of the way that the music is mixed. Even though the composition is different it has many common elements with the other songs on the album so that nothing disturbs the flow of the music or the drift that the listener is following as it guides them out of being engaged with the world to a place where peace and sleep might be found. As a reviewer I would ordinarily pick a song or two that sums up in my mind the heart of the album or that at least spoke to me in some special way but I am not going to do that with Deep Sleep because I think that Chuck has spent a lot of time building just the right movement to these tracks that to separate them and try to look at them individually would not do them justice and that is saying a lot about the care and effort that has been taken through the creative process of making this Liquid Mind release. It is obvious that Chuck Wild has taken great care in composing the music you will hear on this release and the sequencing of it in such a way that it accomplishes just what the title says, Deep Sleep. The lush, serene soundscapes found on this release are carefully sculpted to avoid upper frequencies and any element that might jar the listener out of the state that they have entered into as the music plays. Chuck Wild through his Liquid Mind releases has become a consummate artist who purveys something that is sorely missing in a world that seems to always be on the edge of chaos in one way or another. And that something is an aura of peace which he bestows freely on those who have ever been fortunate enough to have purchased his music in the past and put it on and listened to it as you’ve drifted off to sleep. If you are looking for music to put on just before bed, then look no further but don’t overlook the fact that you can just as easily use Deep Sleep to allow your mind to be more receptive to what you are reading or simply to separate the world outside the door to your home from the world inside your home.